As application security becomes more important on Android we need better tools to analyze and understand them. Android applications are written in Java and a run in the Dalvik VM. Until now most analysis is done via disassembling and monitored execution in an emulator. 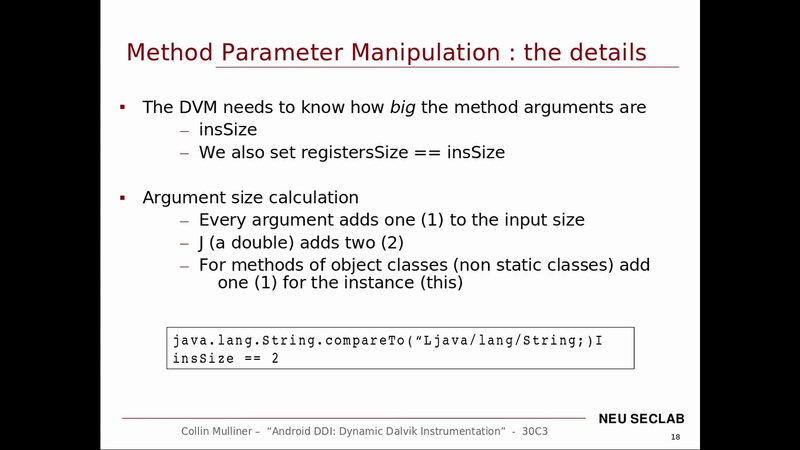 This talk presents a new technique to instrument Android applications executed in the DVM. The talk will introduce the new technique in great detail including many small examples and a whole attack based on it. We will go step by step to show you what can be achieved using this technique.